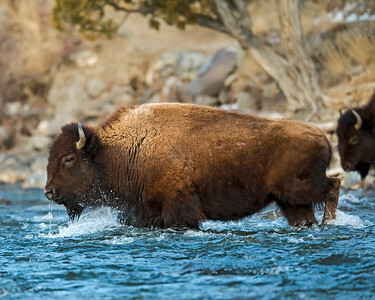 All images are taken in the wild, No animals in captivity. 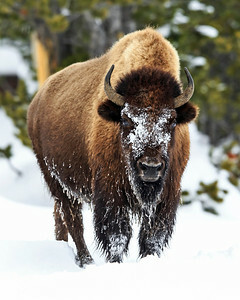 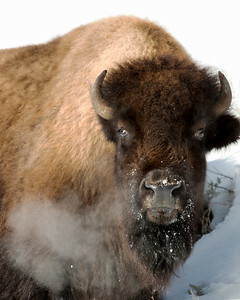 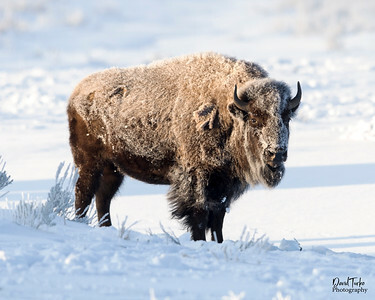 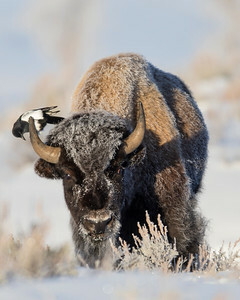 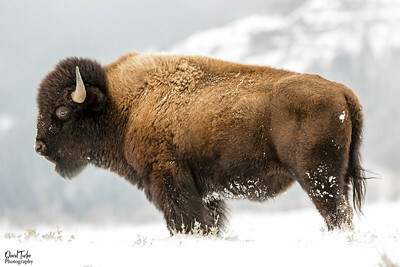 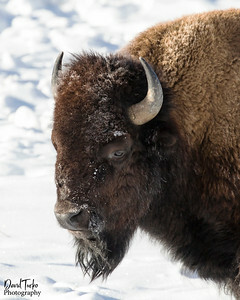 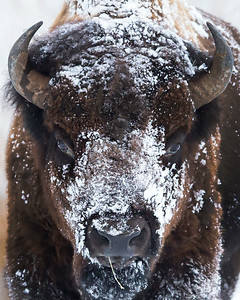 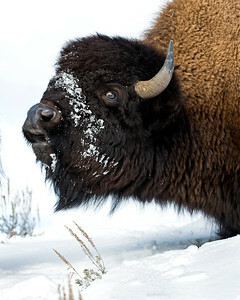 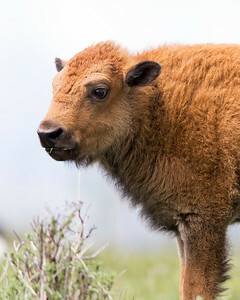 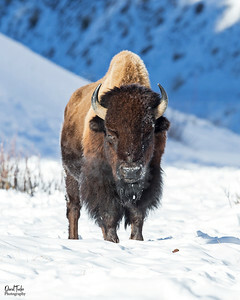 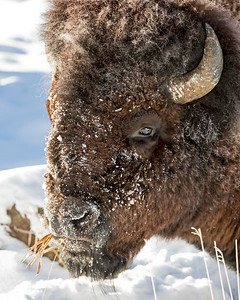 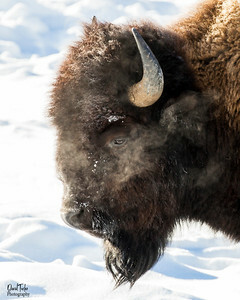 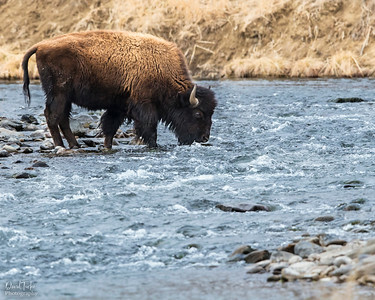 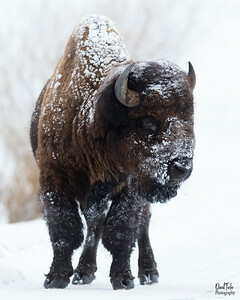 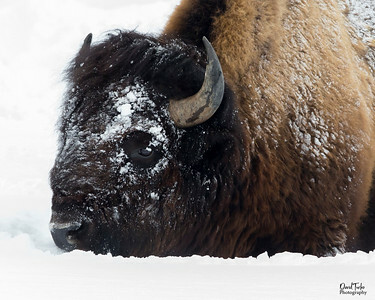 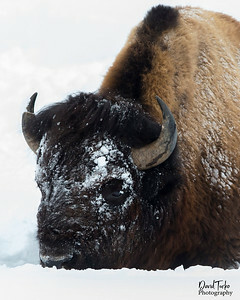 This Buffalo has seen much colder conditions on getting to -16 degrees. 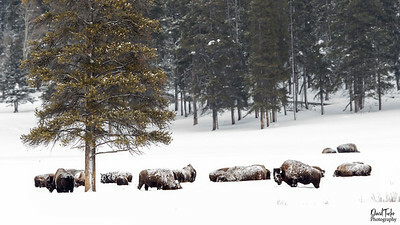 Buffalo gather for warmth on a cold day. 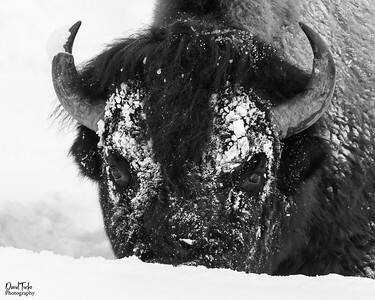 This day was the coldest of all days in Lamar Valley, -16 degrees. 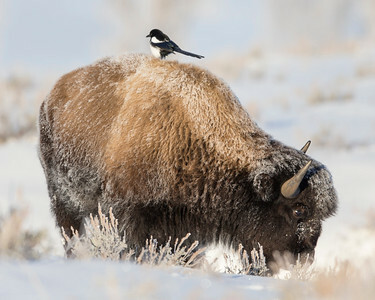 The Magpie finds a warm perch and is able to eat some bugs at the same time. 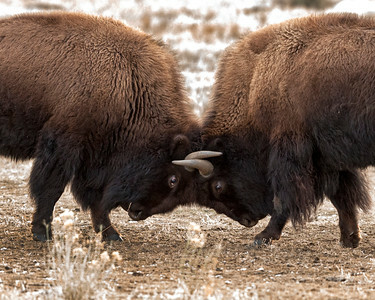 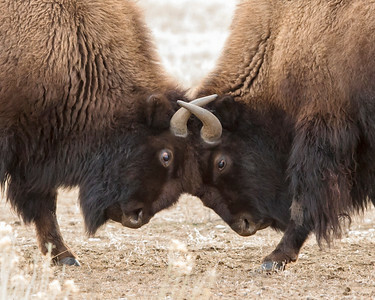 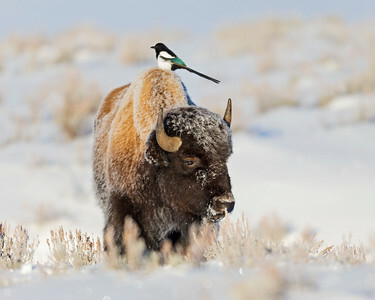 This bison has a buddy on the coldest of days. 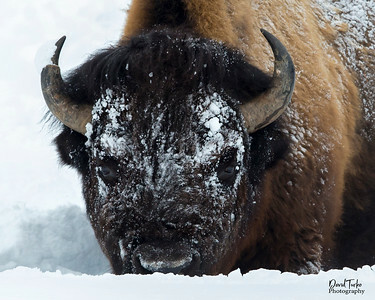 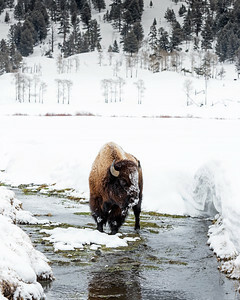 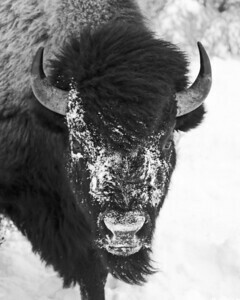 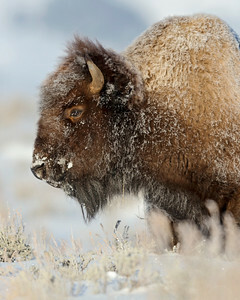 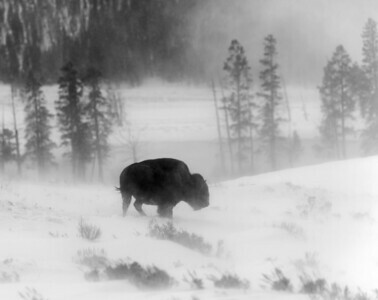 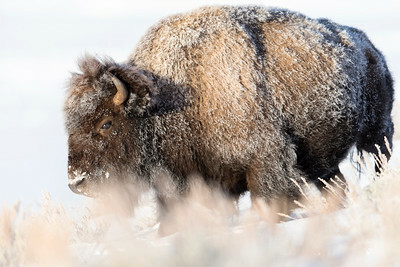 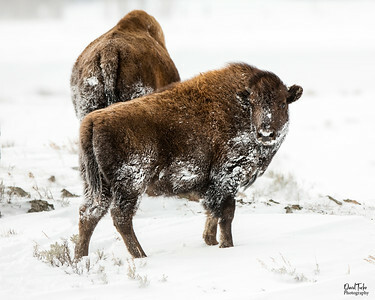 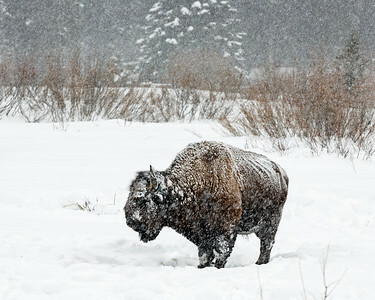 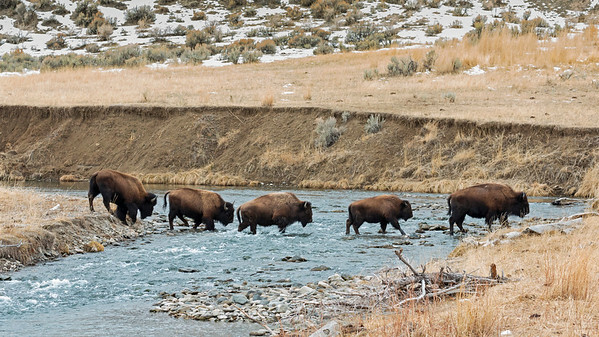 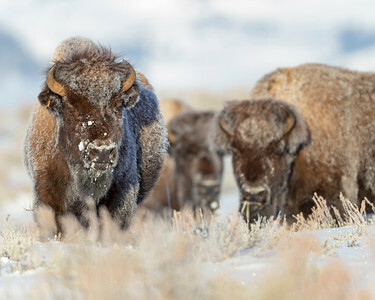 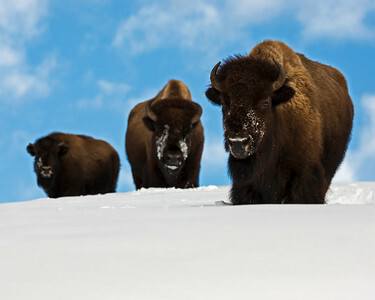 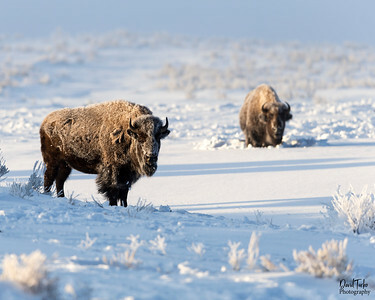 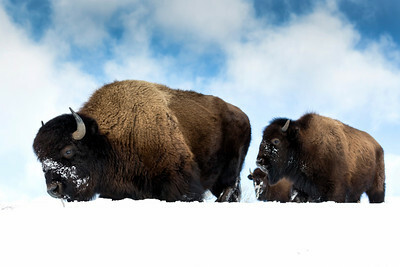 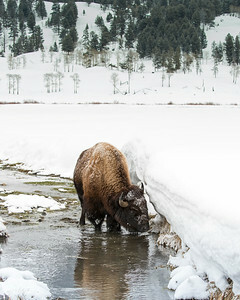 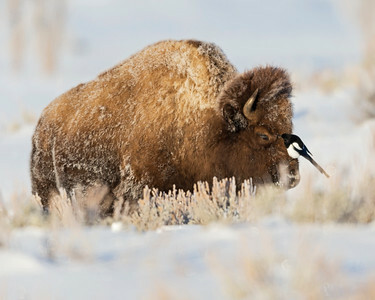 Blowing snow creates this photo opportunity, Bison in Lamar Valley. 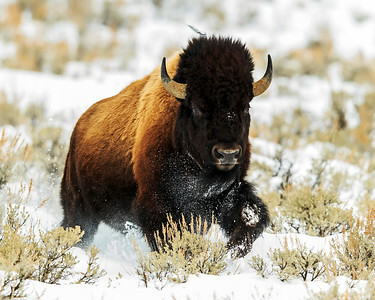 Bison running through the snow in Lamar Valley.